1. At the board meeting yesterday the board allocated 4″ of water with a turn on whenever we get 40cfs in water orders. 2. 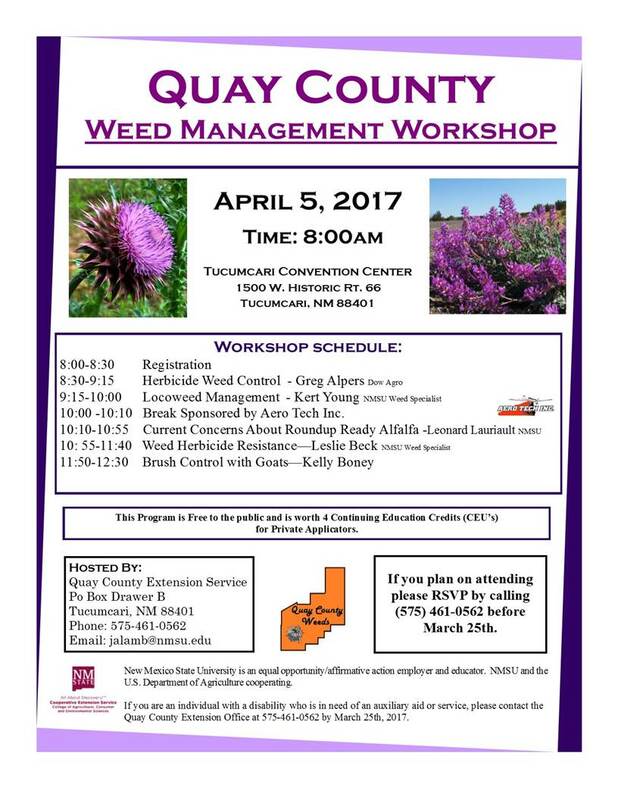 Go to the main Documents Page to see the link for the notice of the 2017 Weed Workshop that will be held at the Tucumcari Convention Center on April 5, 2017 or click here. The minutes of the February regular Board meeting are now available on the Minutes Page. There will be a regular monthly meeting of the Arch Hurley Conservancy District’s Board of Directors at 9:00 a.m. on Tuesday, March 14th, 2017 in the district office. The agenda is now available on the Agenda Page.